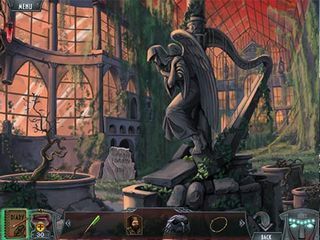 The tittle of this game kind of gives away the story of this hidden object puzzle adventure game. Bathory - The Bloody Countess is a new HOPA game for Mac users. The mystery will stay with you on your device. Now it is up to you to get familiar with the story of the countess and her castle to resque your own sister. The story of Elizabeth Bethory is for courageous and brave ones. Like your little sister. She has always been interested with the unknown and mysterious. That's how she became an archeologist. This is also how she ended up in Slovakia exploring the castle of the countess Bethory. This is also how she began to be tortured by nightmares with a dark figure. And this is also how she disappeared when you cam to visit her. She has been really excited wbout her discoveries about the countess. Now it is up to you to get familiar with the story of the countess and her castle to resque your own sister. 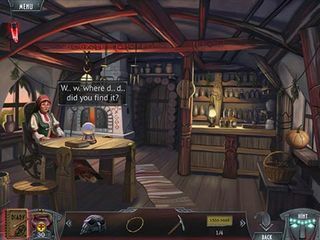 The game challenges you to go to a paralle fantasy world where magic and rituals are part of the reality. You will visit a number of beautiful locations with that cozy atmosphere of small villages in the mountains. The game features great art and challenging tasks. You will have to search for many items hidden in the scenes and solve quite a few puzzles. Don't forget to collect all the coins on your journey. They will make it possible for you to purchase things that will be helpful for the puzzles and riddles. If you are a fan of HOPA genre and fantasy worlds, you should check out this fun game that you can carry with you. This is Bathory - The Bloody Countess review. Download this game here.